Perry Strait went home to be with the Lord on Tuesday, April 9, 2019. Born in Ocean Springs, MS in 1923 to the late Will and Rose Carco Strait. He was the beloved husband for 71 years to the late Geneva "Gen" Dell Thornton Strait. Father of Bill Strait (Anna), John Paul Strait (Rachel), and the late David Strait. Grandfather of Perry Will Strait, Brittney Strait, and Sarah Strait. Brother of Carrie Strait Chimento and the late Joe Strait and Lloyd Strait. He is also survived by his daughter-in-law, Nancy Strait. Perry was a 50 year mason, past master of St. John's Lodge, charter member of Marrero Lodge, honorary past master member of Metairie Lodge 444, and a member of American Legion 175 of Metairie. He retired from the Union Pacific Railroad. 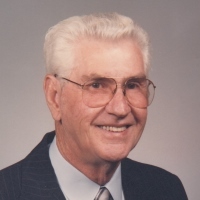 Perry was in the Merchant Marines during World War II having served in combat areas of Mediterranean, the North Atlantic, North and South Pacific, and the invasion of the Philippines. He earned the Mariners medal for wounds he received as a back up gunner. Honorary pallbearers are Merchant Marines of all nations that are asleep under the waves of the world's oceans. Relatives and friends are invited to attend the Funeral Services at Garden of Memories Funeral Home & Cemetery, 4900 Airline Drive in Metairie, LA on Wednesday, April 17, 2019. Visitation will begin at 11:00 am with services starting at 1:00pm followed by interment.